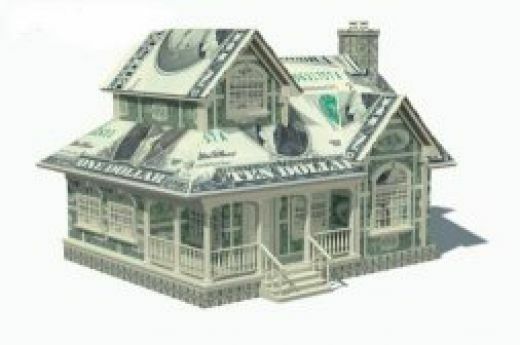 Getting a home mortgage loan or refinancing an existing loan calls for a clean credit report. Banks simply will not give a mortgage to someone with collection accounts on their credit report. And, sometimes these collection accounts can be a big shock to the prospective home buyer. Who knew the account was even there? In California, the statute of limitations for an unpaid collection account is four  years. It seems, though, that creditors have come up with some creative ways to keep collection accounts going. Sometimes, the debt is sold to another credit company, thus re-activating it or sometimes it is simply transferred to another division of the same company with a different name. Both gambits are done with the hope of resurrecting these debts. This can have a major impact on the consumer’s credit score, sometimes as much as 30 points. This is, of course, of major concern when applying for a home loan. 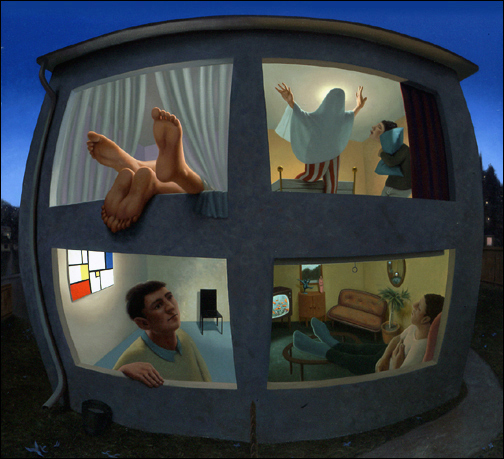 All collections must be paid or the bank will not grant the mortgage. If collection agencies realize that a debtor is trying for a home loan, then they will definitely play hardball and expect to get the entire amount of the debt paid with additional fees added. Thanks to a recent court case, the 9th Circuit held that the Federal Debt Collection Practices Act requires substantial activity by the debt collector before a debt can be considered valid. Specifically, for a debt to be valid the collection agency must send a notice to the debtor within 5 days.This is true if it’s the first collection agency, one of many or a subsequent one. Of course, people often don’t even realize they have collections because collection agencies rarely send out these “validation notices.” Now, the collection agency must inform the debtor of the total amount of the debt and to whom it is owed and this must be in writing within 5 days. Furthermore, the agency must inform the consumers they have 30 days in which to dispute the debt. When the consumer disputes the debt or any part of it, the agency must supply a copy of the judgment or verification of the debt. Previously, knowing the consumer wanted to buy a house, the agencies would simply insist on payment until either the home buyer gave up the quest for a house or paid the loan. 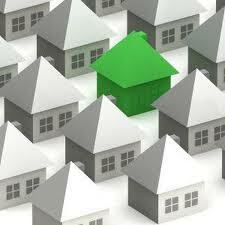 Now, there is some protection for the home buyer with a collection account. If you discover a collection account on your credit report, it is only valid if you have received notice of it from the collection agency in writing and you may still dispute the account. If the collection agency refuses to back down, yes, you will have to hire an attorney, but a simple letter may do the trick. It’s no secret that half the county’s credit has been trashed during the Great Recession. Due to short sales, foreclosures, bankruptcies, job loss and assorted maladies, a significant chunk of the population can no longer qualify for a mortgage loan. Add, too, the new, much more stringent, underwriting guidelines adopted by lenders in the wake of their irresponsible behavior during the “bubble” years and that creates a huge problem for many, many would-be home buyers and investors. What to do? One thing buyers can do is search out seller-financed properties, though often such sellers, too, will check out the credit report and be unhappy with the result. Another, lesser-known, option is to assume an existing loan, saving thousands of dollars in closing costs to boot. Now, this, too, has its own problems since most fixed-rate loans of the past 10 or so years have a “non-assumable” clause. This means that if the property title is transferred, the new owner cannot take over the old mortgage. Most loans have a “due-on-sale clause”, meaning the lender can call in the entire amount of the loan in the event of a title transfer. 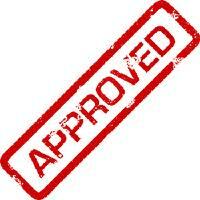 Even the “assumable” loans usually require that the buyer qualify. Is there a work-around? Thankfully, in some cases, but certainly not all, it may be possible to assume a non-assumable loan. Here are some of the scenarios where that may just work. Make Sure There Is A Due-On-Sale Clause. Even if the lender insists that the mortgage is not assumable, here’s a tip: read the mortgage and promissory note to make sure that it has a due-on-sale clause. With all the confusion in the past few years, the lender may not even be able to produce the required documentation. Without it, no due-on-sale clause is legally enforceable. This is a check-with-a-real-estate attorney option. Death of a Joint Tenant. When the surviving joint tenant receives title after a death, federal law, the Garn-St. Germain Depository Institutions Act of 1982, prohibits the mortgage lender from enforcing a due-on-sale clause. A Related Owner-Occupant Inherits. When a related owner, such as a spouse, either occupies or continues to occupy the property, the lender cannot enforce a due-on-sale clause. A Junior Lien Is Placed On The Property. Here, too, the primary lender is enjoined from enforcing the due-on-sale clause. In reality, the primary is in a better position if the homeowner has a second mortgage or an equity line since now two parties are vitally interested in seeing that payments continue to flow in. An Owner-Beneficiary Trust Takes Title. These days, trusts and, especially inter vivos trusts, are used to avoid probate costs. Although the lender cannot enforce a due-on-sale clause under this scenario, the mortgage-holder does have a right to a copy of the trust. Transfer After Divorce. After a divorce the lender cannot enforce a due-on-sale clause if either children or a former spouse occupy or continue to occupy the property. They must occupy though. Ask About an Assumption Fee. Even if the situation is not one of the above, it always pays to ask the lender if an assumption is possible despite the presence of a due-on-sale clause. Especially if the loan is in default, the lender may be exceedingly happy to have the loan brought up to date often with no fee whatsoever. Lenders today have plenty of foreclosures and short sales already and so may be quite willing to make a mutually-beneficial deal. Believe it or not, one bank has actually started offering automatic loan mods. No more reams of paperwork delving into intimate financial records of borrowers [treated more like beggars], no more waiting for six months, eight months and even more than a year to get an answer from the haughty banks. Finally, one bank, JP Morgan Chase, is automatically writing loan mod contracts for its underwater borrowers. Yes, it’s true. Some Chase customers are getting loans mods, offering rate reductions, principal reductions or both–all without having to file the onerous paperwork. In one case cited by CNN Money, Chase surprised a Darrington, Wash. couple, who had tried, without success, to effect a loan mod with the very same bank, with a loan mod reducing their interest rate from 6.5% to 2.8% for five years and then a fixed 3.19% for the remaining 18 years of their loan, saving them $229 a month. For this couple, still suffering with job loss as well as an underwater house, it was just like winning the lottery. Why Would Chase Offer Automatic Loan Mods? Why would Chase be doing this? Is this a trick? It’s not a trick. In fact, in accordance with the $25-billion mortgage settlement agreed to a few months ago by 49 out of 50 attorneys general, discussed in a previous post, Chase’s share of the payout burden is $4.2 billion. Because banks get “extra credit” for acting quickly and making their mods during the first year, Chase bit the bullet and decided to go ahead and make loan mod offers to thousands of underwater borrowers. In the past, contacting all these homeowners has proven difficult if not impossible. Many homeowners are so inundated with financial woes they no longer read their mail or answer the phone. Many underwater homeowners move out, anticipating a foreclosure. Borrowers who receive the loan mod offers must, of course, sign the new contracts which typically would run for 5 years and then, most important, start making the new payments which are usually hundreds of dollars less than the previous amounts. 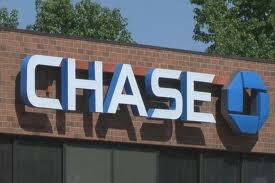 Between March and June 2012, Chase claims that it has completed 3,086 loan mods, $359 million’s worth. But, Isn’t The Housing Crisis Over By Now? To understand how deep-seated this problem is despite the good news we’ve been hearing about home prices rising, look at what Chase, just one of the five major banks involved, says it still has to do: another 11,500 loan mods. I say, “Bravo,” to Chase for undertaking to honor the settlement. 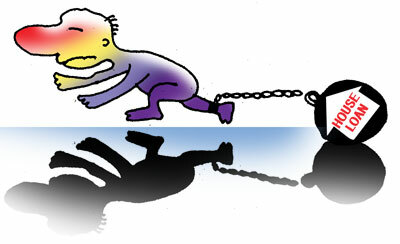 It is too bad, though, that the banks had to be forced by litigation to treat their borrowers like human beings. Makes you wonder what else we could get the banks to cough up if the federal government would just hold their feet to the fire just a teensy, weensy bit? These days we hear a lot about the tax havens and tax loopholes available to high-income taxpayers and corporations, but most ordinary people do not understand the amazing tax benefits offered by owning rental property. In most cases, a “taxable loss” accrues from the rental which can offset ordinary income and thus the federal income tax bite. Of course, most people’s eyes glaze over at this point, so I’m going to make this as painless as possible! Not everyone is going to save tax money on real estate investments. Most middle-income wage-earners, though, will. First, let’s be clear. It takes a certain type of person to be a landlord as indicated in a previous post. So, looking at owning property to save money on taxes is, how do you say, bass-ackwards. 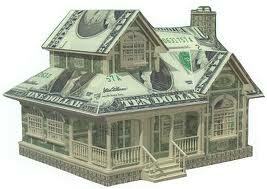 First and foremost, purchase a rental property with the idea of making money. Look for a property which will give you income after all the expenses are eliminated. This is cash-flow. Assuming you have such a property, how does it happen that even cash-flow properties can save you money on your taxes? Rental properties generally show a “taxable loss” for many years after the purchase. This is true because, as in any business, you have the income from the rents, but then you can deduct all your expenses to come up with your net operating income. Your expenses include repairs, utilities paid, labor costs, property management or any of a vast variety of other expenses. Once you have your net operating income, then you can deduct any mortgage interest paid to arrive at the net income. Now, here comes the good part for rental property--depreciation. You also get to deduct 1/27.5 of the building’s cost from your net income. This figure becomes your taxable income or, in many cases, loss. 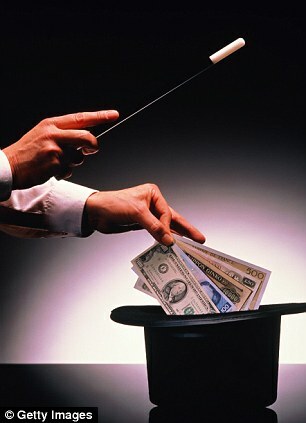 This is how even a good, cash flowing property can manage to be a loss for tax purposes. It is also how an investment property can help reduce ordinary income because this “loss” is deducted from the owner’s wage income and can often substantially reduce income tax owed. There is a hitch, naturally. If losses are over $25,000 and ordinary income is over $100,000, then the taxpayer may not be able to deduct the whole amount due to Passive Activity Loss Limitations. Still, the taxpayer does get all other ordinary deductions and may well substantially reduce the amount of tax owed. Owning real estate is one of the best tax strategies allowed by the current tax code. Anyone earning any kind of money really should consider investing in rental property, whether residential, multi-family or commercial. Today’s real estate market offers amazing opportunities for anyone thinking about investing in real estate. Mortgage rates are incredibly low, values are lower than they have been in many years and rents have not dipped. Want to discuss rental property? Call me anytime. My, How Mortgages Have Changed! The horse has already bolted out the barn door, which the mortgage industry is now nailing firmly shut. Due to the banks’ foolhardy loans during the “bubble years”, home prices and loan values are now at an all-time low, but few are able to benefit. The reason? Those who want a home loan today need pristine credit. That means a FICO score of 750 to 775. Since the nation’s median score is 711, that means fully half the population would not qualify for a new home loan even if the 20% down payments were no problem. Because of the new, much tighter loan qualifying guidelines, the terrific bargains out there will have to remain a tantalizing, but forbidden treat for potential buyers. In the past before the current crisis, a FICO score of 700-725 was considered “solid”, a good risk for the bank. FICO scores range from 300 to 850. Freddie Mac and Fannie Mae, two government agencies, are now covering about 75% of the mortgage market and, according to data just released pursuant to the Dodd-Frank financial-services legislation, have approved borrowers with 750 to 775 for 75% of their mortgages when in 2005 that high a FICO accounted for just 5% of approvals. Paying close attention to credit reports is now, more than ever, of prime importance for would-be home owners. 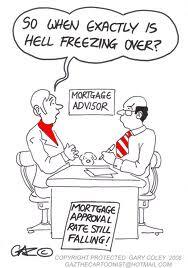 Having a score below 750 does not make getting a mortgage approval impossible, just more expensive. Besides the 20% down payment required for conventional mortgages, a 730, for instance, would cost an extra .125 percentage points per year. Between 700 to 725, previously an un alloyed approval, the borrower will pay an extra quarter percentage point. Below 680, it gets harder to find an approval and, of course, costs more. Those who already own their homes and are looking to tap into today’s great loan rates will face similar obstacles. The banks will look for the higher credit scores, adequate income and what is now increasingly difficult to come by–at least 20% equity in the property. The rules for refi really are little different from those for first-time buyers. Cash-out refis also are subject to stringent approval guidelines as home values are still dropping or wildly gyrating in many areas. And, unlike the past, no one seems to have much faith in the future any more. These days with 30% of those with mortgages under water and foreclosures coming left and right, it’s easy to forget that 50% of all American homes have paid off mortgages. That’s right–50%. Though some may quibble that means huge amounts of untapped equity that could be used elsewhere more productively, for the average homeowner paying off the mortgage means peace of mind, safety and security in an unsafe and insecure economy. Paying off the mortgage is a good thing, but how can a homeowners get it done faster than the 15 or 30 years of payments outlined in their mortgage documents? Many routes to mortgage-free living exist, most almost painless. One simple method involves refinancing the property. Despite the millions suffering from plunging home values, others still have plenty of equity. If you estimate that you have at least 20% equity in your home, refinancing is a good options. It makes sense even if your present rate is 5% or 6% as current rates are hovering closer to 4%. A good rule of thumb is–if you can save 1% in mortgage interest than it is worthwhile to refinance. And, if you can afford it, it might make greater sense to refi into a 15-year mortgage which will save you more than half the interest costs of a 30-year mortgage. Another simple method of paying off your mortgage faster is to make bi-weekly payments. That way if your payment on, say, a $300,000 mortgage at 5% over 30 years is $1610 per month, you could break this up into two payments a month of $805. Because a year has 26 weeks, paying biweekly will have you making 13 payments and by the end of the year, you will have made an extra payment. You could also, of course, make a whole extra payment any time during the year. Or you could divide one payment of $1610 by 12 and pay an extra $134 per payment. The savings can be substantial. In the above example, according to this nifty calculator from bankrate.com, a homeowner could shave 5 years off his 30-year loan and over $50,000 in interest charges. Not bad. Do Banks Charge A Fee? Some banks are offering this biweekly mortgage payments as a service with a setup fee of several hundred dollars. Citibank, for instance, charges $375 for the “convenience” of taking this money out of your checking account and then dings you again when you make the payment. Most banks, including Citibank, will allow you to make extra payments for free. It is possible to make this payment yourself, but it pays to check with the bank first as your bank may just deduct the payment from principal and then still expect the regular payment. Making this extra payment can save the homeowner in this example, for instance, 5% so it does not make sense to put the money into the mortgage if you have outstanding balances on credit cards charging interest rates of 6% or above and certainly not the 29% charged by some cards. Pay off those high-interest cards first and then start working on the mortgage.